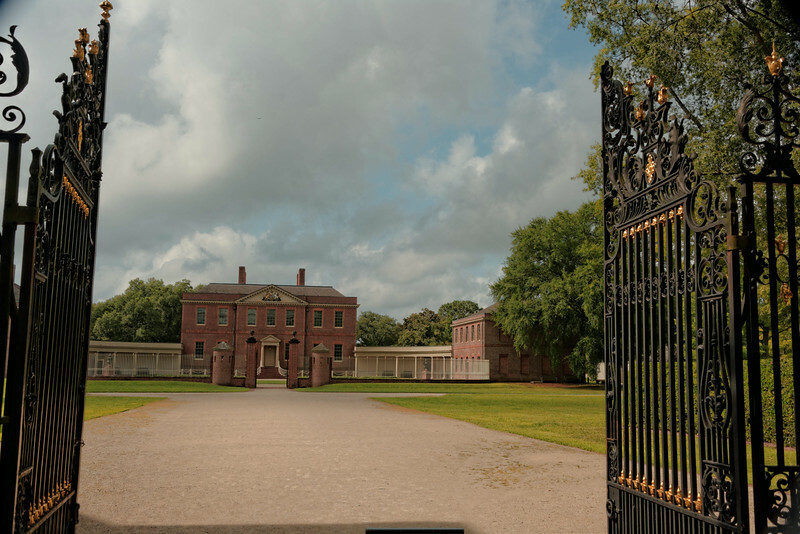 Joyce and I visited Tryon Palace recently, something we had not done in probably 30 years. We spent time in the gardens, as I had a new lens I wanted to try out. I want to share with you some shots from this visit. Tryon Palace is located in New Bern, NC. English Royal Governor William Tryon had the building constructed to serve as the Colonial Capitol of the Province of North Carolina. He completed construction in 1771. In May 1775, at the beginning of the Revolutionary War, patriots seized the building after then Governor Martin fled and made it the first State Capitol. Four governors lived there before the State moved the capital to Raleigh in 1792. The palace burned in 1798 and was not reconstructed until the 1950-59 period. Original plans for the gardens were discovered in 1991. A pamphlet states that there were few such formal gardens in the colonies, and notes that "a precise geometric plan of clipped hedges and carefully planted beds demonstrated human dominance over nature."